Nova Academy’s founding team of dedicated educators, parents, and community members led by Dr. Hillary Motsinger during 1998-2002, assembled to draft a charter proposal and create an educational plan for Nova Academy. The Texas Education Agency awarded Nova Academy their charter in May, 1998. Nova Academy opened its doors to 80 students in grades K-3 @ 411 W. Illinois in Dallas, Texas. 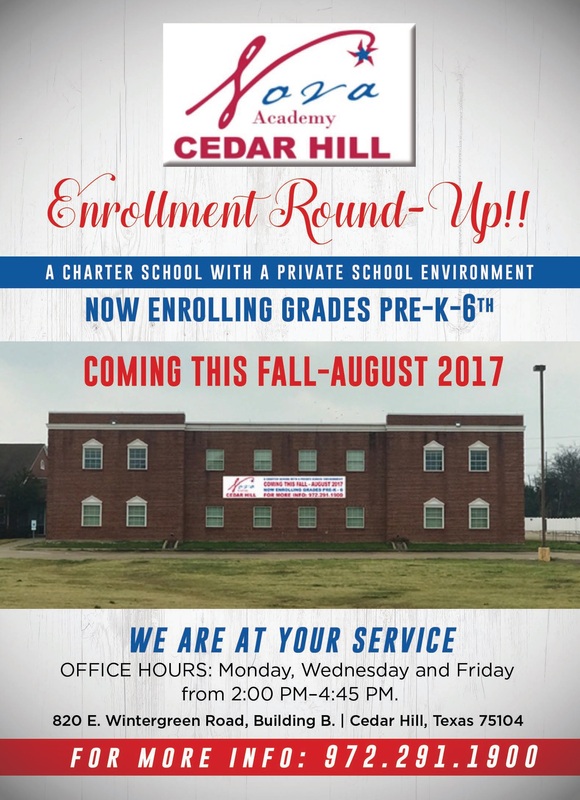 To accommodate its growing student body after 4 years in the Oak Cliff community, Nova Academy relocated to the Pleasant Grove community and secured three campus locations, Nova Academy Bruton Nova Academy Scyene and Nova Prichard. Today, Nova Academy is home to three campuses, educating more than 800 students campus wide. Our ambitions are not limited to the scholastic alone; it is our mission to educate the “whole child,” providing each of our students with the tools necessary to be successful in and out of the classroom. At this critical time of growth in Nova Academy’s history, the Board of Directors and founders were intensely committed to continuous improvement in the school’s educational programs and student outcomes. The Board Trustees proceeded to appoint Ms. Donna H. Woods to the CEO position of Nova Academy. Ms. Woods, known as a visionary leader throughout the City of Dallas, was selected for her lifelong commitment to civic responsibility, community service, academic experience and business astuteness. Nova Academy is located in the Pleasant Grove, an urban community in the southeast sector of Dallas, Texas. Nova Academy provides a safe, stimulating environment with a rigorous and challenging academic curriculum. The smaller pupil-teacher ratio (20:1 in grades K-8) provides vast opportunities for individualized instruction for all students. Nova Prichard opened fall of 2011; it educates grades 1-8th.Nova Prichard is an 82,000 sq. ft., 13M dollar educational facility that includes 50 classrooms, a state of the art computer lab, science lab, library, performing arts theater room, and many more educational activities to prepare our students for academic excellence in the 21st century. Nova Bruton educates grades K-6th. Many of our students have started in kindergarten and have graduated our six grade program. Nova Academy is proven excellence in educating entire families. Nova Scyene educates grades PreK4 - 3rd Our Early Childhood program is designed to build a firm foundation for your child’s later learning and growth. We strive to meet the academic, emotional, creative, social, and physical needs of each child. Guided by the visionary leadership of Ms. Woods, CEO, Nova Academy has achieved a remarkable set of milestones in the last seven years: In 2010-2011 & 2008-2009 both Nova Academy campuses were ranked “Recognized” the second highest ranking given by TEA for academic achievement; In 2005, Nova Scyene received Gold Performance Award recognition from TEA academic excellence in the core subjects of reading and math as indicated by standardized tests. Nova Academy, with the acquisition of the proposed new Nova Academy Pritchard campus, will be a pipeline, a channel; that parents can follow from elementary to middle school in the Pleasant Grove community. Nova Academy can combine the district’s best teaching practices with exemplary leadership. Nova Academy’s focus will remain on the following; (1) The continuation of the tradition of academic excellence that has existed at the school for many years; (2) The school district will continue to maintain their academic ranking of “Recognized” status awarded by TEA (Texas Education Agency, while striving to attain the ranking of “EXEMPLARY”, the highest ranking that a school in Texas can receive; (3) Our administrators, faculty, and staff will continue to make a difference in the lives of the children that attend Nova Academy.